JIPMER MBBS 2019 Counselling will be started from 26th June 2019. It will be conducted through offline mode. 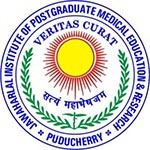 Jawaharlal Institute of Postgraduate Medical Education and Research (JIPMER), Puducherry is the authority which organizes JIPMER MBBS entrance exam. It is a national level examination. This exam is organized for providing admission to the MBBS course offered by JIPMER, Puducheery & JIPMER, Karaikal. Total 200 seats will be available for MBBS programme. In this article, we have updated complete information about JIPMER 2019 Counselling. The University releases list of candidates those who qualify for counselling. Candidates are shortlisted for the counselling on the basis of the entrance exam scores. The counselling is organized in four rounds through offline mode. Candidates, those who are called for the counselling have to report at the counselling center at a given date & time stipulated in the call letter. Candidates should download their rank letter from the website in order to participate in the counselling. No individual call letter is sent to the candidates through offline mode. JIPMER Cut Off 2019 will be published after the result announcement. It will be released in the month of June 2019. Cut off is the minimum marks student have to obtain to clear the examination. On the day of counselling, Biometric fingerprint & image verifications of the candidate is done. Candidates have to present physically on the day of counselling. In the counselling, the seat first is filled by the General (UR) & Orthopedically Candidates (OPH). In each category, the total number of candidates are called for counselling 10 times the number of seats available. In case, candidates will not opt/chosen course/college in the first round of counselling. They are eligible to attend second round of counselling. It will be held only in case of seat vacant. Online Registration: At the counselling venue, registration of candidates is done. Candidates have to register for counselling by showing their call letter to the university. The registration can be done by entering their personal & other required details. Biometric Finger Print Verification: After registration, candidates have to go for biometric fingerprint verification process. This process is done to ensure that candidate, those appear for the counselling is same as the one who wrote the examination. Image/Photo Verification: This process is also be done to confirm that candidates is same. If there os mismatched, candidates are not allowed to attend the counselling. Certificate Verification: In this procedure, candidate’s documents are verified by the University. It isdone to check the eligibility of the candidates. Counselling: Candidates who successfully complete all the verification rounds are called for seat allotment. Candidates are called as per their rank. Candidates will have an option to choose a seat in JIPMER, Puducheery & JIPMER, Karaikal. The admission of all the candidates is based on merit, category & availability of seats at the time of JIPMER 2019 Counselling. Candidates have to report at the allotted college on the due date given in their admission letter to complete their JIPMER admission procedure 2019. In case, the competent authorities find that admission will be offered on the basis of wrong documents/information, then candidate’s admission will be cancelled. Candidates will have to pay their admission fee to confirm their seats. Otherwise, the seat will be allotted to the next candidate. If you have any other queries about JIPMER Counselling 2019, you can ask us by leaving your comments in the comment box. I do not have birth certificate. Can i produce class 10th passing certificate as age proof. How to apply counciling 3rd one I just wanna apply I need you to send how to apply . It will be known to you later after releasing of third counselling notice. Sir, I am mortha vindhya I have 4219 rank in SC category. For attending 2nd round couselling what rank is maximum. Pls reply sir. Yes, it will be conducted on 25th July 2018. PCB agriculture counselling session kb se start hoga? I can got 41% in jipmer exam.am I have any counselling. Pls reply immediately . Is there any separate announcement for NRI quota for JIPMER. I have got 76%in jipmer .i am obc category . will i get seat in jipmer? Am I eligible for 2nd counselling? I secure 76 percentile in jipmer.i belong to St category.is there any chance of my selection in jipmer. my daughter’s rank in JIPMER 2018 MBBS entrance exam is 641, we r from General category, is there any possibilities of gettin an admission .we r from Rajasthan . please advice me ,my residence in odisha and how i apply for councelling for admission in mbbs in genral rank 51000.
is there any kind of registration requires for jipmer counselling? how to apply for jipmer councling? We will provide the link when it will be activated. is this exam for mbbs open to all india residents.can UP domiciled person apply for mbbs seat after appearing in jipmer? What is category certificate and character certificate? Where to get?